DUCAN FALLS, Ohio – A new recovery residence is opening early next week in Duncan Falls. The Naomi House is for women in recovery, women in recovery who are pregnant, or women in recovery who have infants. 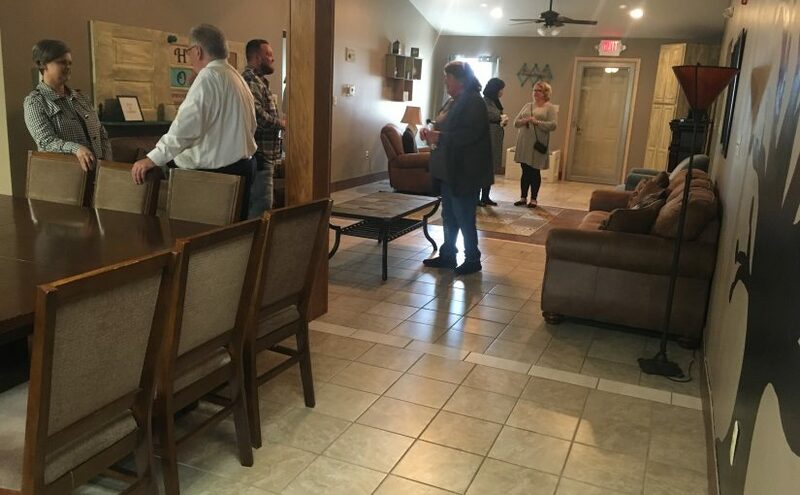 There was an open house today at the Naomi House. It was open to the public to come by and see the features of the recovery facility. Chief Officer of Muskingum Behavioral Health, Steve Carrel said it offers women the opportunity to recover from their addiction, and get back on their feet. Carrel said the rooms are dorm style living and can house ten or eleven women. “We bought Naomi with a state capital grant through the department of mental health and addiction services. We have basically no renovations, most of the furniture was already donated as a part of the house. Were gonna be able to house ten to eleven woman in dorm style housing,” said Carrel. Carrel said there are a lot of women having babies in Muskingum County that have an addiction, or are in early recovery. Carrel believes that the Naomi House is a perfect place for them to get clean, stay clean, and raise their child in a much better environment. “We’re going to have my understanding from our initial applicants we’ve got a couple of pregnant women so were going to have Naomi House babies born, drug free babies which is exciting. Hopefully help these women get on a good solid footing into a really positive life,” Carrel also said. If you are interesting in sending in an application, you can contact the Muskingum Behavioral Health Office.